Combining a trip to Spain and France is a very popular way of broadening your European travels. Most people heading to and from Paris plan to use Barcelona as their starting/end point. But if you're coming from the Spanish capital, here's information on how to get to Paris by train, plane, bus or car. If you're looking for the quickest way to get between Spain and France's capital cities, a plane makes the most sense. But there is so much between the two cities that you should see that it would be a shame to fly. 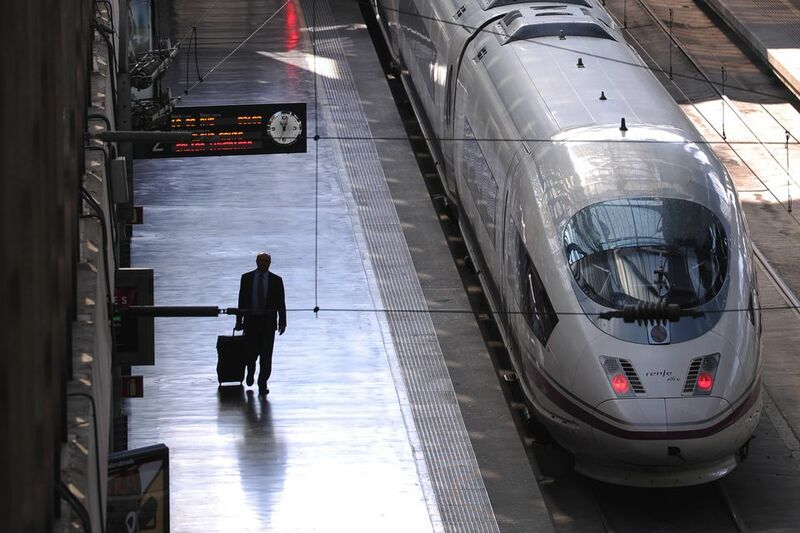 The best connection between France and Spain is actually from Paris to Barcelona, which now has the high-speed AVE train to connect the two cities for a stress-free connection between the two cities. Via Barcelona: The most obvious itinerary would be to take the train from Madrid to Barcelona. The high-speed AVE train will carry you between the two cities in under two-and-a-half hours. But there are plenty of stops you can add on the way to Barcelona: via Cuenca and Valencia is the most obvious choice. You can then take a train straight from Barcelona to Paris, or make stops in France en route. Via the Basque Country: If you don't want to go via Barcelona, the other way to the French-Spanish border is via San Sebastian. The main thing to know is that there are no direct trains from San Sebastian—you need to get to the French border and take your train from the border town of Hendaye. There are regular cheap flights from Paris to Madrid. If you book far enough in advance, this will be your cheapest and quickest option. The train from Paris to Madrid takes nine-and-a-half hours and costs about 110 euros, with a change in Barcelona. The train leaves from Paris Gare de Lyon and arrives at Madrid Atocha. Book from Rail Europe or Renfe. The bus from Paris to Madrid takes 17 hours and costs about 80 euros, which is slower, less comfortable and more expensive than the train (Book from ALSA). The bus departs from both Mendez Alvaro and Avenida de America bus stations. The 1,200 km journey from Paris to Madrid takes about 12 hours by car. Travel on the A10, A630, A63, A8, AP-1, and A1. Note that some of these roads are toll roads.